This is frankly superb at this price. Forget Jack Daniels and coke-mixer American whiskeys. This is a spicy fruity delight. Nose: sweet, furniture varnish, popcorn, spices, vanilla, brown sugar, citrus, cocoa, cream brûlée, cream, caraway seeds. Mouth: sweet, oak, dryness, spicy, apples, citrus, caramel, cream. Finish: long, spicy, vanilla, oak, toffee and caramel. 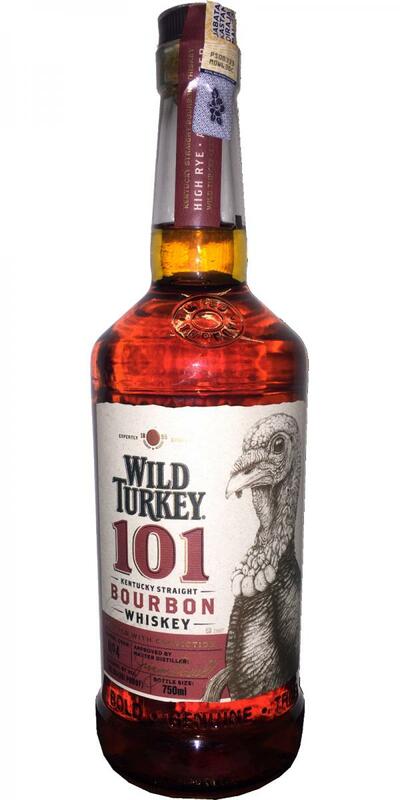 Wild Turkey 101 is a very good balanced, tasty and complex bourbon. It’s a very good for daily drinking. My brother brought his open bottle for me to try. 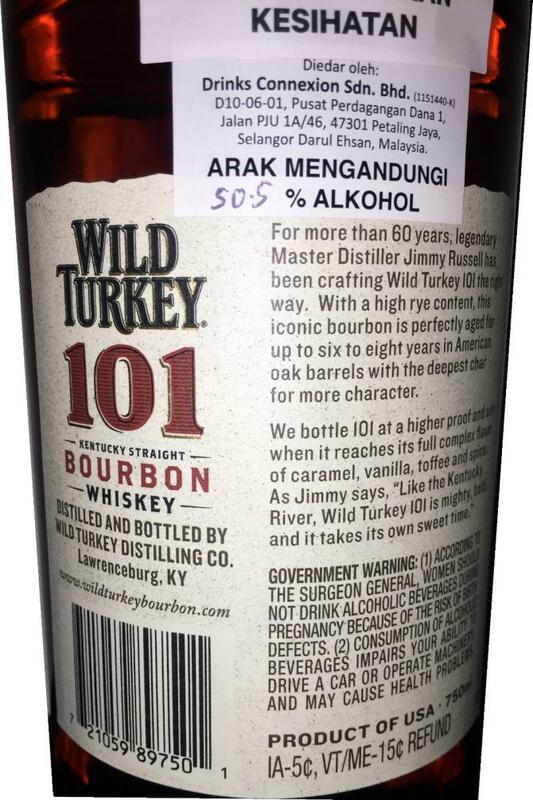 Wow, a lot better than some $60-$100 bourbons out there. Not complex but not thin in its viscosity or test and not too sweet either. Good body with and interesting noise with a solid palate of caramel, toffy soft popcorn and brown sugar. And no bitter taste at all!For $35cnd a bottle a really nice easy drink that doesn't leave you wanting. N- Beside the usual trio of honey, maple and vanilla. As well mandarin orange, melon with hint of evolved clogging diesel oil.P- Thick coat of husky notes, rye-ish herbal oilment aroma and fatty almond essence afloat, toasted spiciness keep the gluey flavor on the bay of being cloying. Fat liquid and wood driven. F- Medium, smooth and mellow, credit to the heavily charred oak. Minted honey and peppery. New design, new batch that seems going down the hill, or I was in love when last tried 2 years ago.— at The Whiskey Bar, Kuala Lumpur.